Regardless of your gutter cleaning schedule, fall is one of the best times to clean your gutters. However, cleaning your gutters isn’t exactly one of the safest home maintenance tasks to take on. Today, Advantage Seamless Gutters shares some valuable tips for a safe gutter cleaning. The main equipment you’ll use for gutter cleaning is a ladder. Each year, over 90,000 people get rushed to emergency rooms for ladder-related injuries. Avoid being part of the statistic by ensuring the sturdiness of the ladder you’ll be using. You should check for any defects or damages as well. Fiberglass ladders are the most durable, but they are also the heaviest. Your best bet is to use an aluminum ladder, which is also sturdy, but lighter than its fiberglass counterpart. Other safety considerations include the type of ladder you’ll use. Four-legged step ladders are ideal for single-story homes, while extension ladders are best used on houses that are two stories tall or higher. Don’t forget to inform someone that you’ll be using the ladder, and be mindful of its placement. If you’re not comfortable climbing ladders, consult your local gutter contractors regarding gutter cleaning. You never know what kinds of debris might be present when you clean your gutters. For this reason, it’s best to use goggles to protect your eyes. As for your hands, use puncture and waterproof gloves. Suede gloves are a good choice since they don’t shrivel up like leather gloves after washing, they don’t soak up water like cotton-made gloves and they offer more protection from sharp objects, unlike their rubber glove counterparts. Consider wearing rubber-soled shoes as well, as they provide a better grip on surfaces such as on the ladder and on your roof if need be. Seamless gutters are easier to clean compared to other types of gutter systems. In any case, you may consult your go-to gutter contractor regarding the best gutter system for your home. 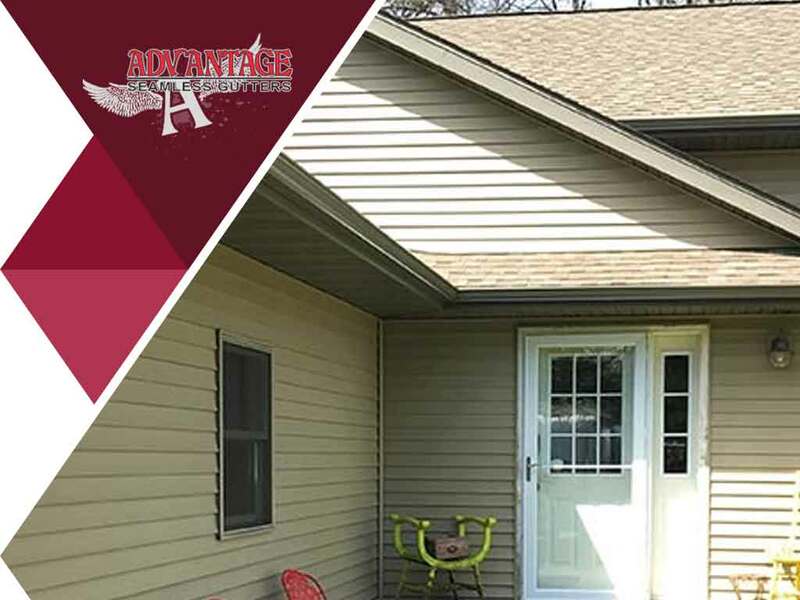 Advantage Seamless Gutters offers high quality gutter products and services. We do the job properly the first time, so you don’t have to. You can call us at (218) 212-1818. We serve Baxter, MN, as well as other areas in Minnesota. Contact us to find out more.